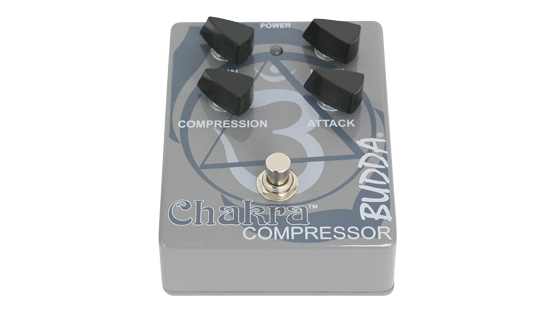 Built with the same attention to detail and exacting standards as Budda's renowned amplifiers, these boutique effects pedals are housed in built-to-last, heavy-duty steel casings decorated with Budda’s unique Eastern-inspired original artwork. With smart features like true-bypass for completely transparent signal output when the pedal is not engaged, and in and out jacks placed in the back of each pedal so that they can be placed against one another and save space in your pedalboard, these pedals sound as good as they look. 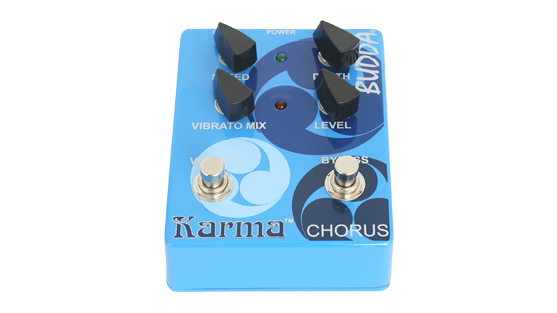 The Budda Volume/Boost pedal has all the features to be at home on even the most discriminating player's pedal board. 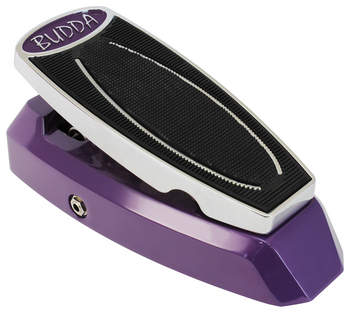 Special circuitry allows the Budda Volume pedal to operate in either buffered active mode or bypassed passive mode. In active mode, if the battery is low, the pedal will automatically switch to passive mode. A minimum volume knob will help you set the rhythm volume just where you want it. Super clean sound helps you get the best clean solo tone. A gain trim pot on the bottom allows you to set the level of the toe switched boost. The Budda Volume/Boost pedal's premium components are the perfect compliment for the striking purple exterior of the pedal. 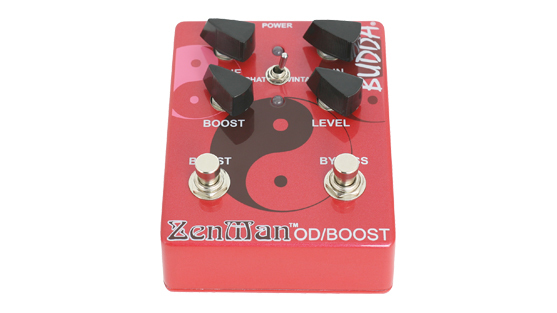 The Budda Volume/Boost pedal is the best volume pedal for your Budda rig!